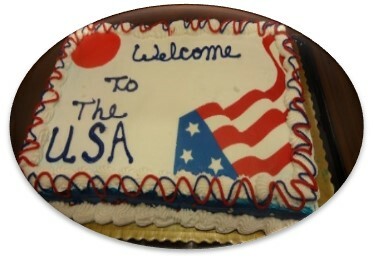 Monday, 10/25 The voluneers arrived from Japan and the States today. 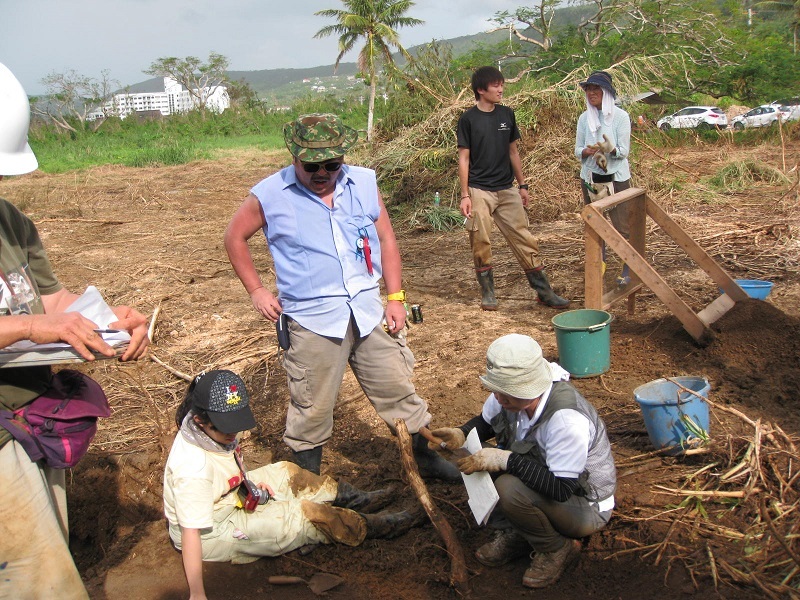 One of the volunteers, McKenzie Waterston, is from New York, and this is her second trip to Saipan to search for the remains with us. She is taking the courses in military history and archaeology in her senior, and her passion to bring the missing servicemen home made her join this trip. We took them to Banzai Cliff, where many Japanese civilians commited suicide by jumping off the cliff during the battle. We planned to start the field work from Monday, but this was impossible because of the conditions given by Historic Preservatio Office (HPO). We hope this would be solved at the meeting with them tomorrow. Sunday, 10/26 We had two important meetings today; one was DEQ (Department of Environmental Quality) and HPO (Historic Preservation Office). At the meeting in DEQ, the official earthmoving permit for Tanapag was finally issued! It's been almost 2 years and half since the submission of the application, so our dream finally came true! However, at the meeting in HPO, we were required to revise the research design and re-submit for the approval. Our archaeologists are working on revising the papers, and plan to submit in the early morning. 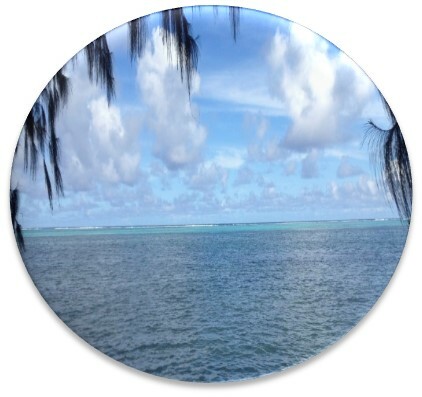 The time and money is very limited for this project, so we do not want to waste any time. But we are almost there, and are hoping to start the dig from tomorrow morning. 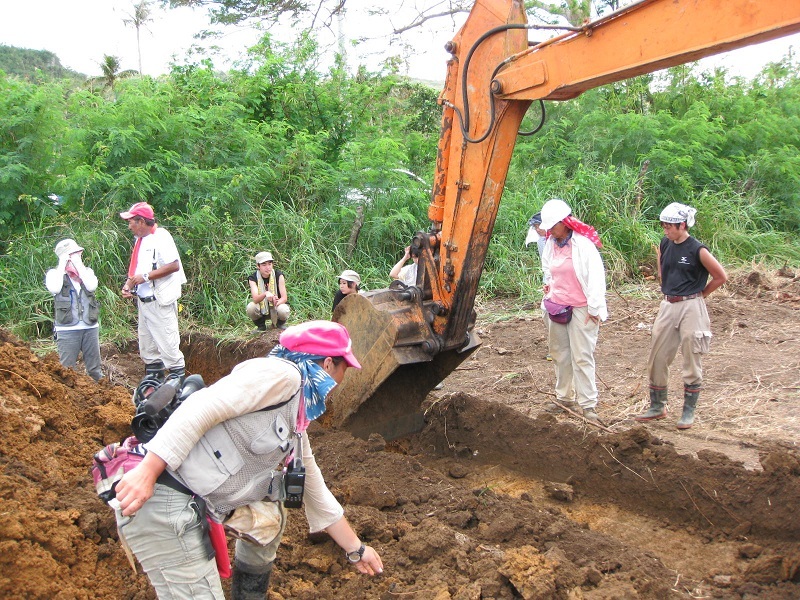 Monday, 10/27 We prepared and were ready to excavate anytime, but we had to wait until the research deign was approved by HPO. We were told to wait until we received an approved letter... which finally came out at noon. 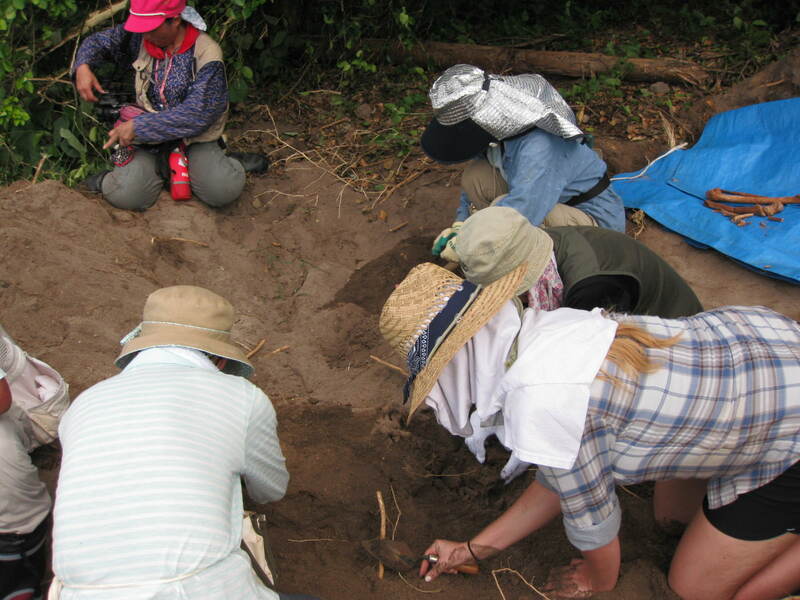 In the afternoon, we started digging, and have already found human remains! Because it was already in the evening, we decided to leave it for now and work on the analysis tomorrow. We still do not know what the nationality is and how much more we could find. The report will continue tomorrow. Tuesday, 10/28 We found small portion of the bones today. 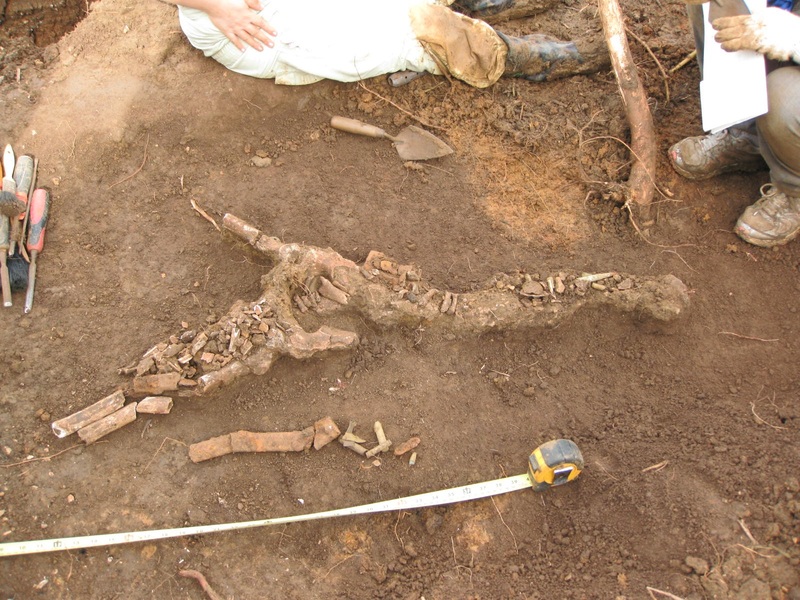 The leg bone uncovered today indicated that this person was maybe about 6 feet tall. But there were also small pieces of bones which might belong to a child. 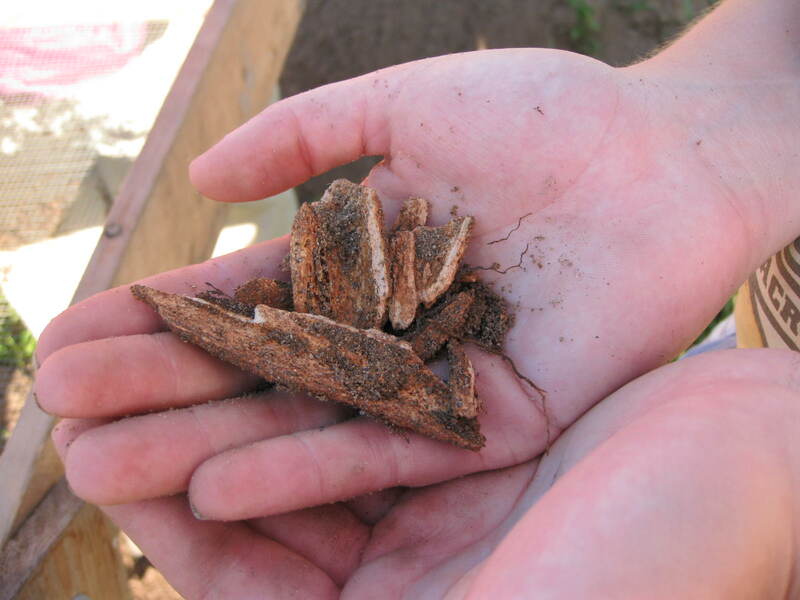 On the other hand, there are also some pieces of small bones which is one of the indicators to tell that the sites are from prehistoric era. So it was a mixture of the bones from different time. We hope to find out more tomorrow. 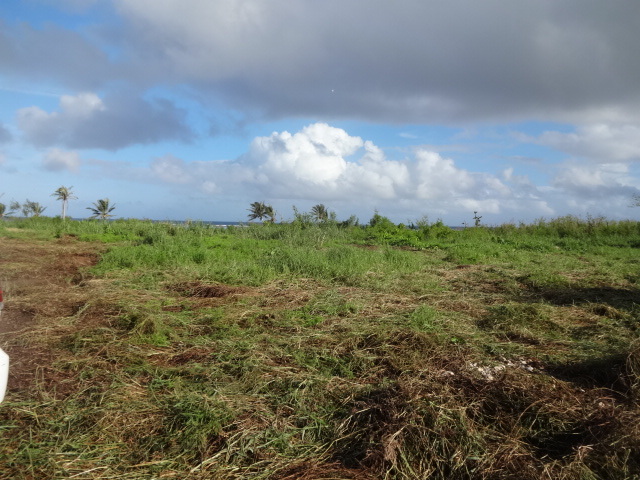 Wednesday, 10/29 It was our 3rd day of digging on Saipan. He gave a silent prayer to all the souls in the morning before the work started. 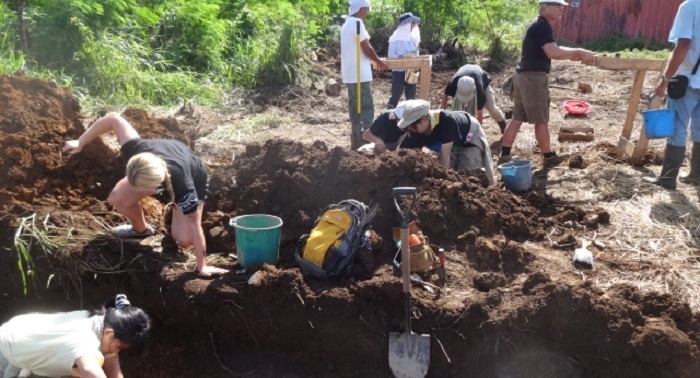 According to the archaeologists, the remains found yesterday were determined to be the bones of indigenous locals (Chamorro). 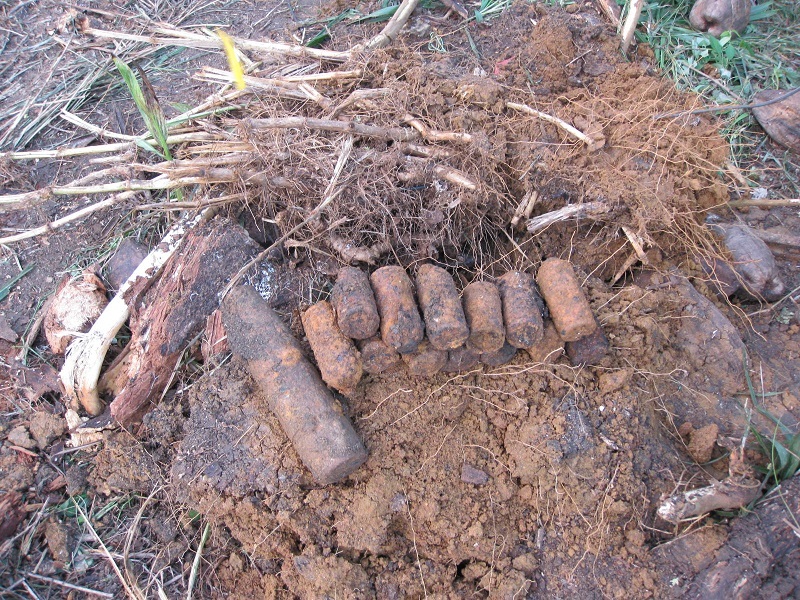 We kept digging and started to find many indications of the WWII remains. 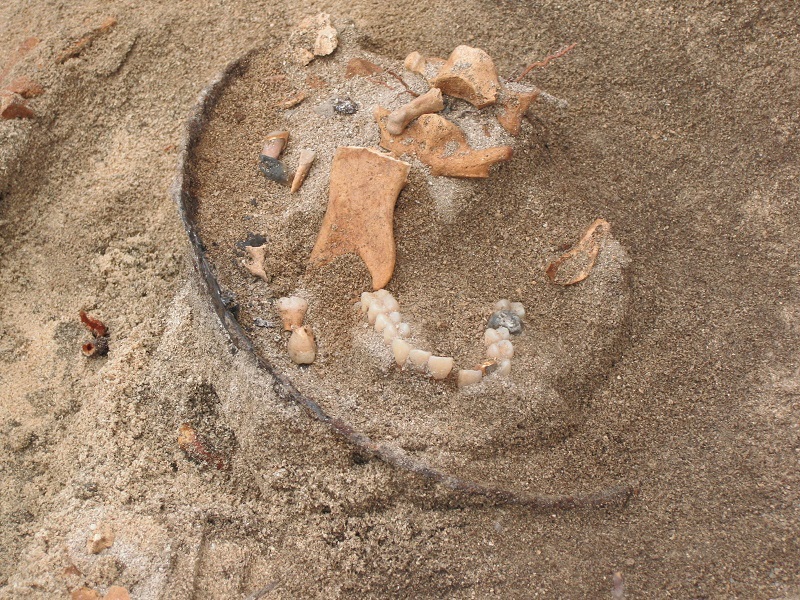 Today, we found helmet, skull, and golden teeth and bridge. It should not be the ancient, so has to be either American or Japanese. The location is about 60m away from the command post of 27th infantry division, 105th regiments. All the volunteers were so excited, and everyone was so focused on manually cleaning the site. 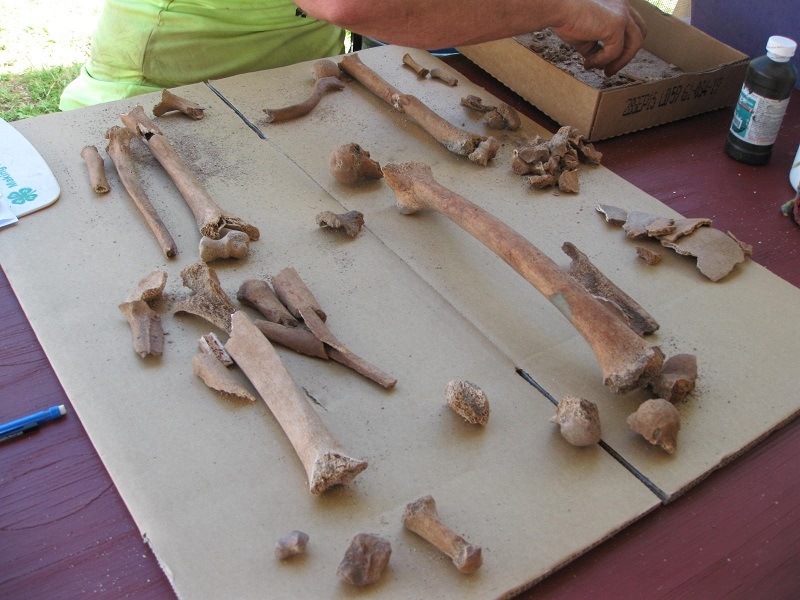 We never know who they are until all the remains are analyzed by the archaeologists. Another good news was that, among the 3 projects, 2nd project's plan was finally approved! So now we are allowed to do the field research in another property, where many soldiers in Army became missing. Thursday, 10/30 We found another burials today. Helmets, bullets, teeth, arm, skull inside the helmet, Japanese old coins, belt buckle are the items we found. It is not a complete body, but parts of the body are scattered. Including the ones from yesterday, the total individuals uncovered was 6 so far. The volunteers were very busy with exposing the site, and thank them for their hard work, we uncovered this much today. Another good news was that, the last research design submitted 3 weeks ago was finally approved! Now we have all the sites ready to dig. Friday, 10/31 It was a productive day. We discovered a sole of boots that seem like the American. Japanese put the Tabi shoes on, and there was no button on them. But the boots uncovered today had some buttons on them. Also there were small pieces of bones inside. There was also a metal with ancor. We still do not know who the individual might be, but it could be an American. 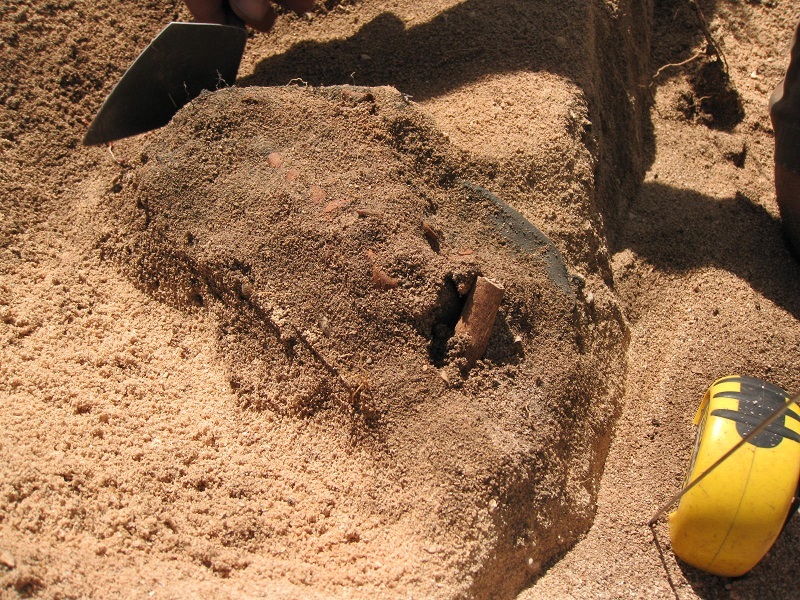 Also, there were 6 individuals found in the same burial. This might be the mass burial of Japanese soldiers. 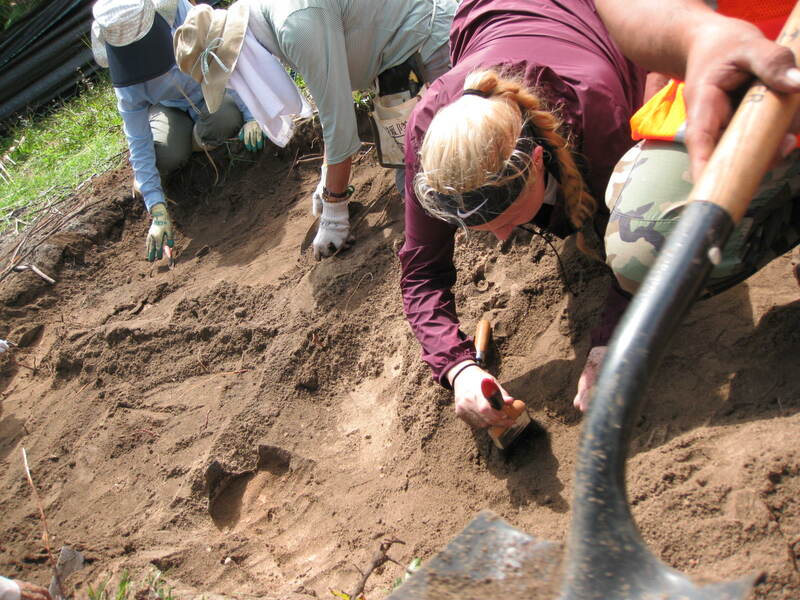 Saturday, 11/1 We started another day of the dig with the rainbow. 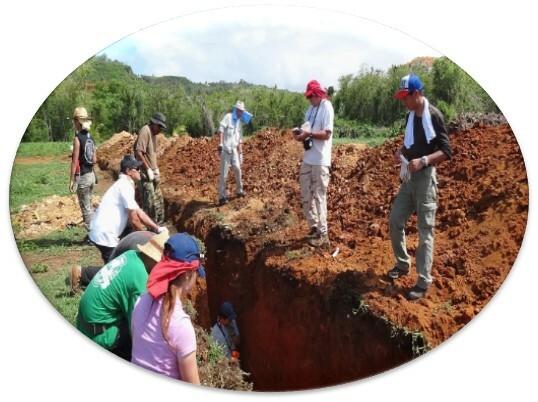 It turned out that the burial we have excavated since the second day of our field work was actually a mass burial of Japanese soldiers. 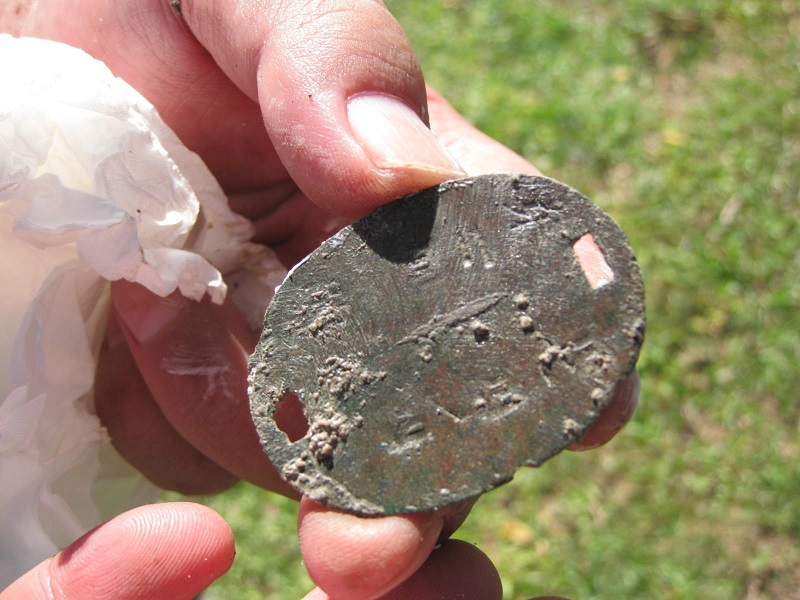 Today we found belt buckle, bullets, helmet, teeth, and Japanese dog tag, along with the hipbone. We also started the grass cutting in another site where 27th infantry division was sitting when Japanese suicide attack was charged on July 7th 1944. 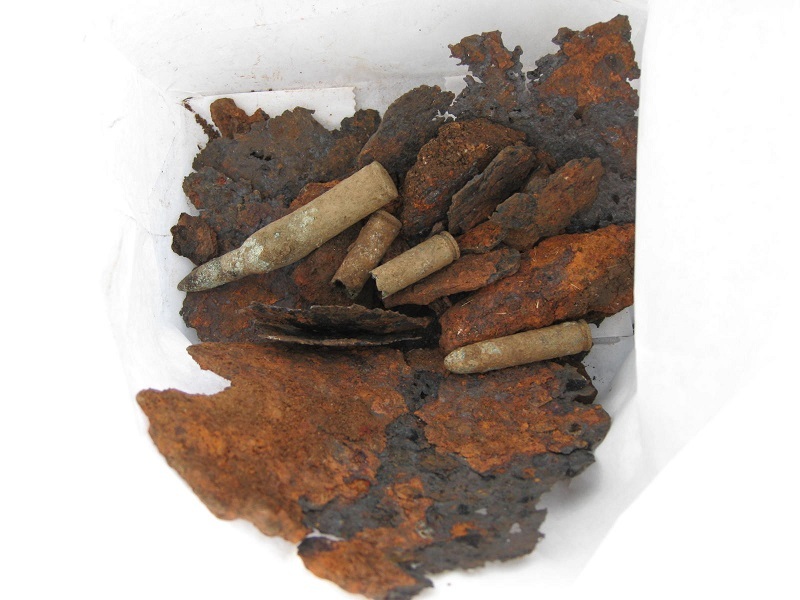 In the first trench, a leg bone, poncho, and bullets were uncovered already, which might belong to someone from 27th infantry division. 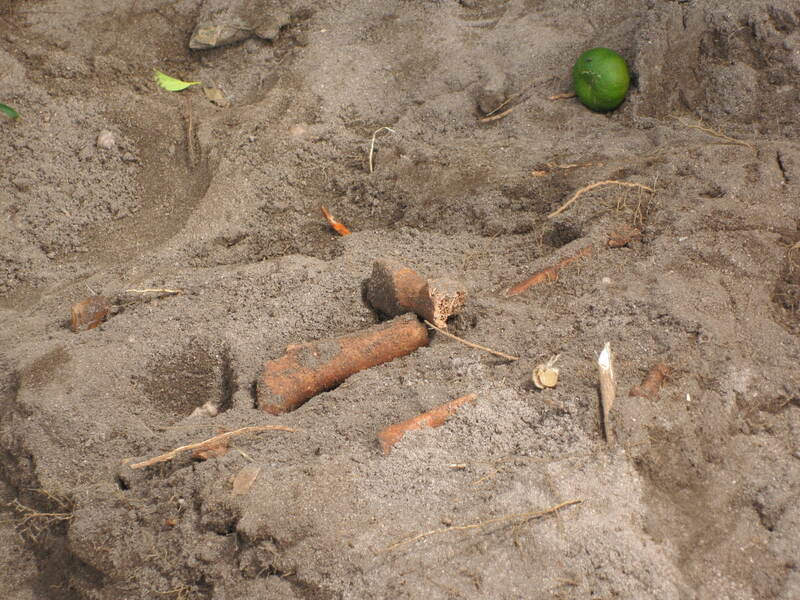 Tomorrow, we will dig around the remains and will see what will be discovered. 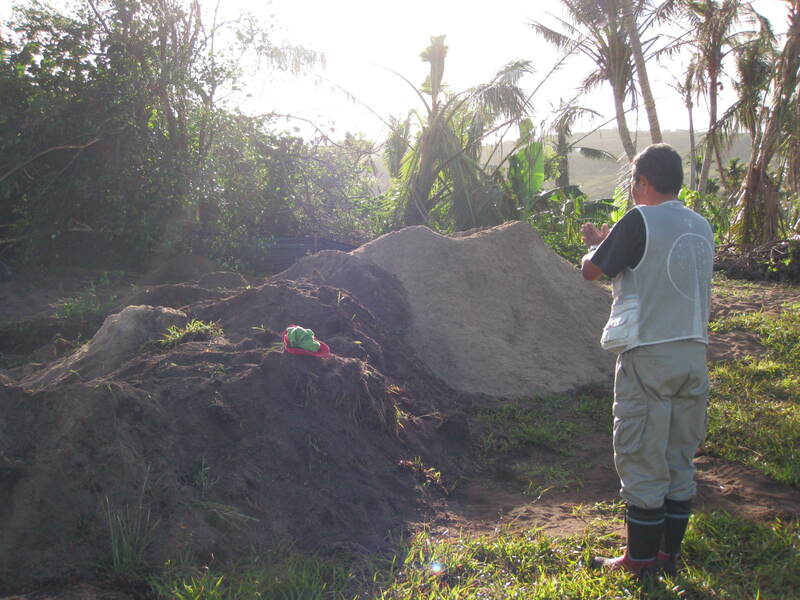 Sunday, 11/2 We moved to another site to search the burials. This area is a place where 27th infantry division was staying in July 6th right before Japanese suicide attack was happened. We found two individual burials today. Compare to the previous site with the white sand, it is much harder to operate the backhoe because the earth is clay and the ground is very hard. And here are the bombs! 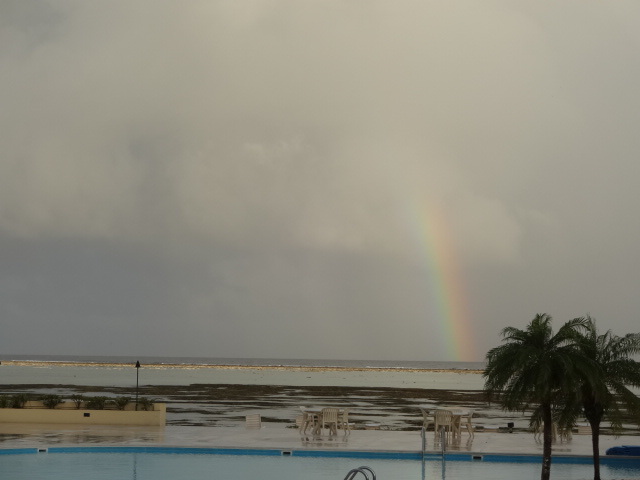 Monday, 11/3 4 Japanese volunteers arrived on Saipan yesterday evening, and joined with us from today. They are not the ordinary college students. 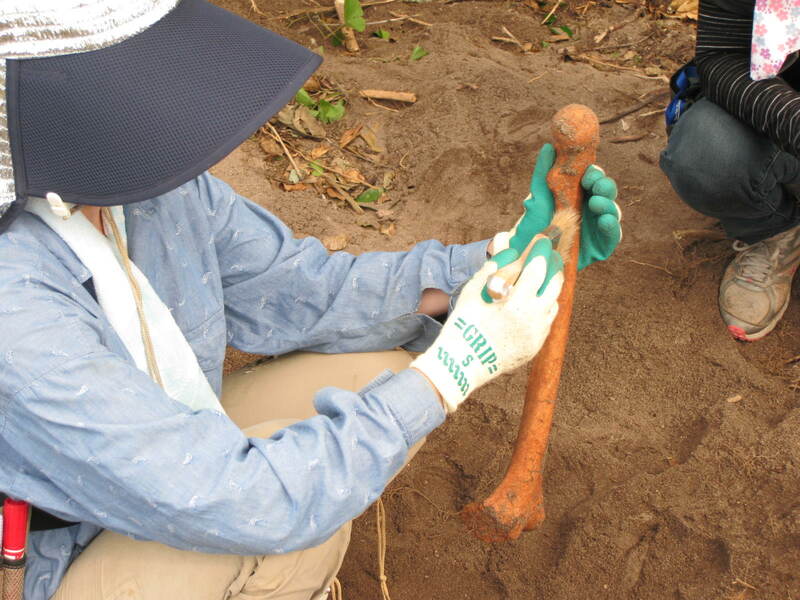 Their group is to participate the Japanese government "bone mission team" to recover the remains of Japanese soldiers from all over the Pacific islands. For 23-years old Senior student, a representative of the student group, it is his 14th trip to the former battlefield to recover the remains of the Japanese soldiers. 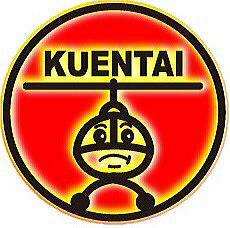 That said, this is his 1st trip to Saipan to join KUENTAI-USA to help recover the remains of soldiers from both countries. 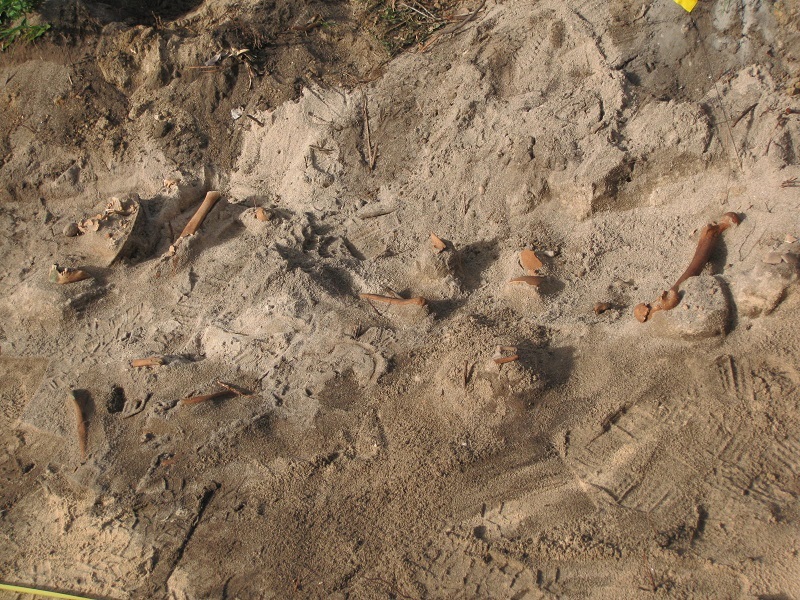 4 of them were working so hard to expose the bones and recover the remains from the hard clay soil. 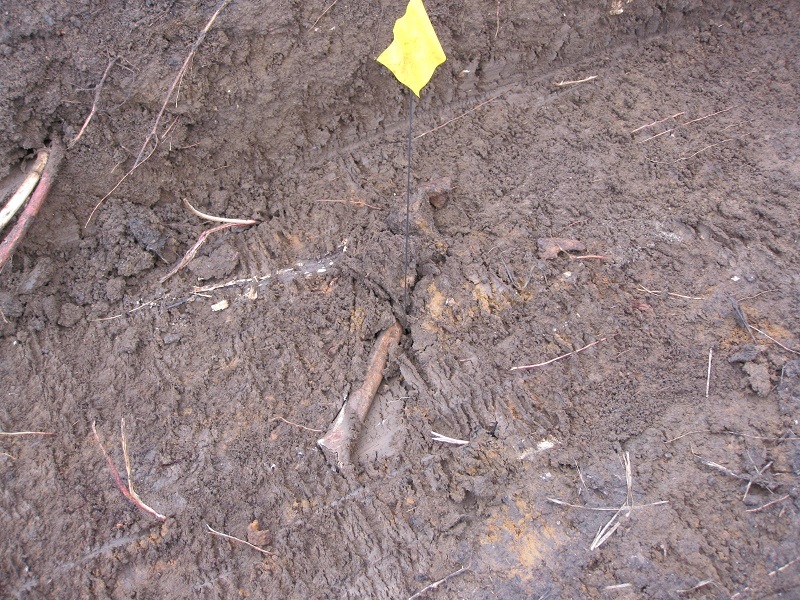 Tuesday, 11/4 We started to dig on the area where 27th infantry division, 105 resiments were sitting at night of July 6th before Japanese suicide attack was charged. Wednesday, 11/5 We found nothing in the morning. Nothing means that we are coming closer to the actual burrial, so it is not always a bad thing. But in the afternoon, we finally hit it! 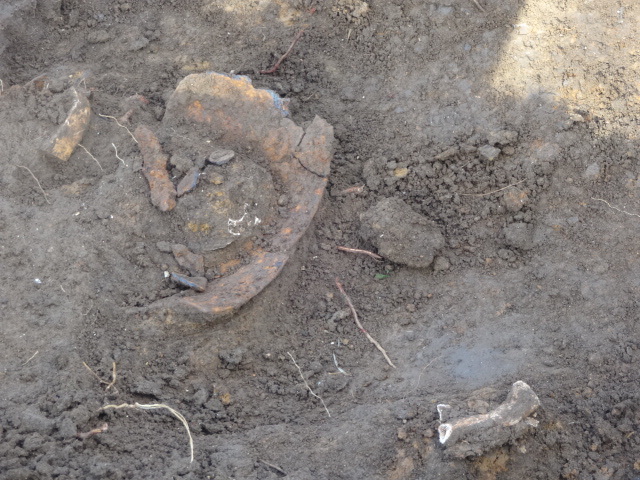 The shape of the metal looks like the American helmet, and there are some pieces of bones found near the helmet. It might be an American soldier!? 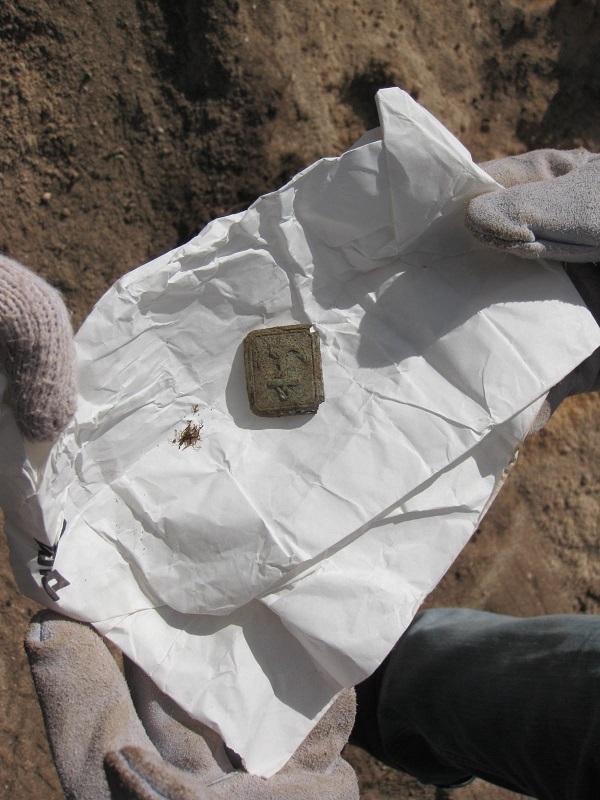 We extended the trench, and another piece of the metal which looks like another American helmet was discovered! 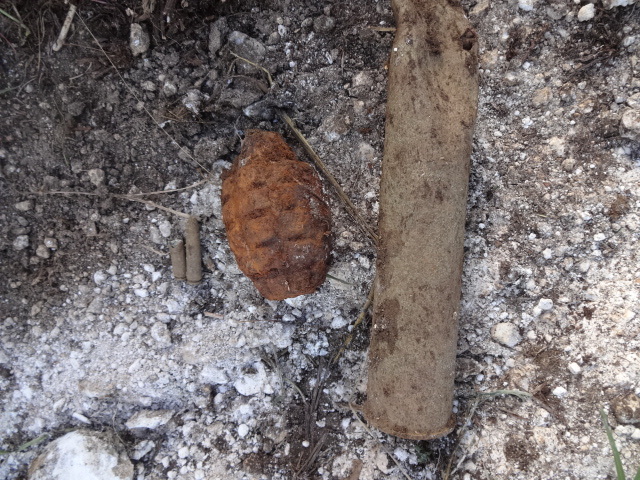 American hand grenade, and carbin bullets are the other identifiers discovered along with the bones in the same trench. 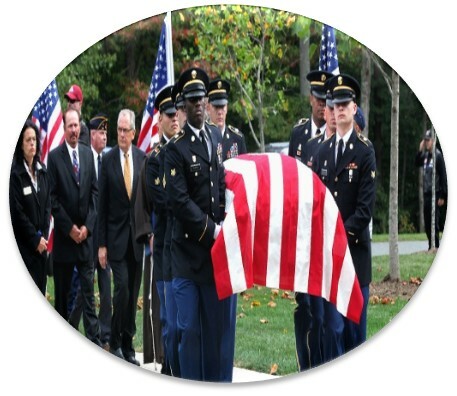 We have to wait for the analysis by the osteologists, but the possibility of American soldier cannot be denied. Thursday, 11/6 We came back to the same property as yesterday, and this was our last day of the entire project. 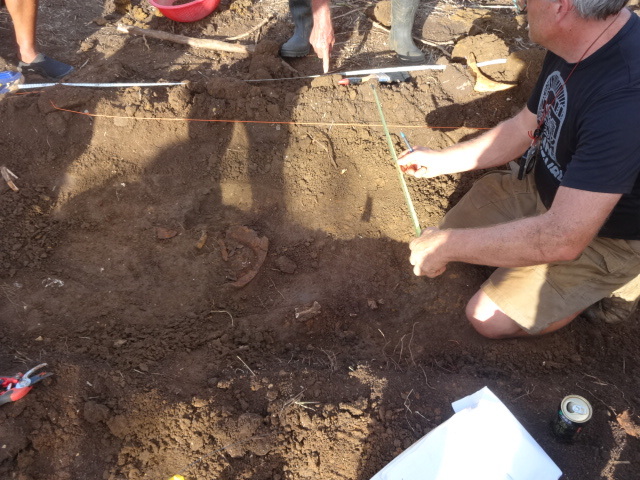 We wanted to work until the very last day of stay, but the archaeologists had to turn over all the findings to the local authority by Friday afternoon, so we could only work in the morning. 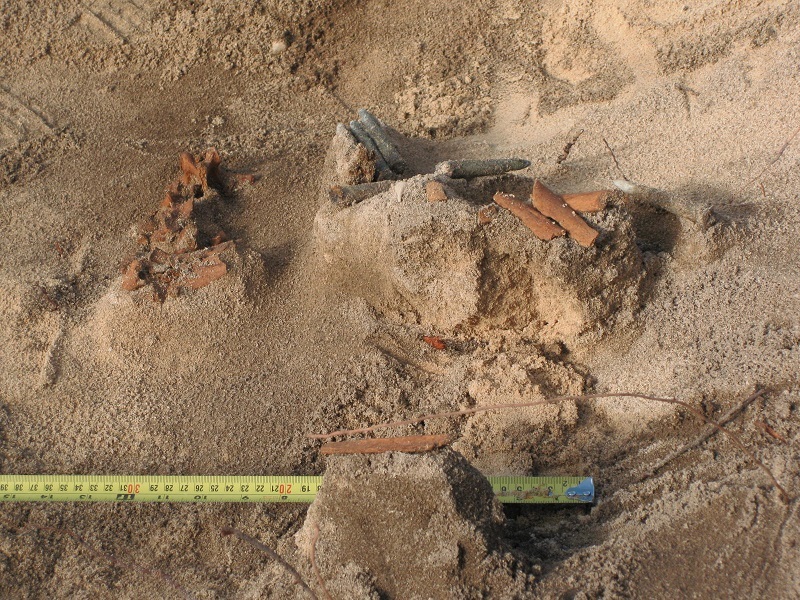 We made the last trench with the backhoe, and another piece of bone was found from 3 separate locations! All the volunteers wanted to open around the remains to at least get a better idea if this is American or Japanese, but we were not allowed because the time was up, and archaeologists had to leave. 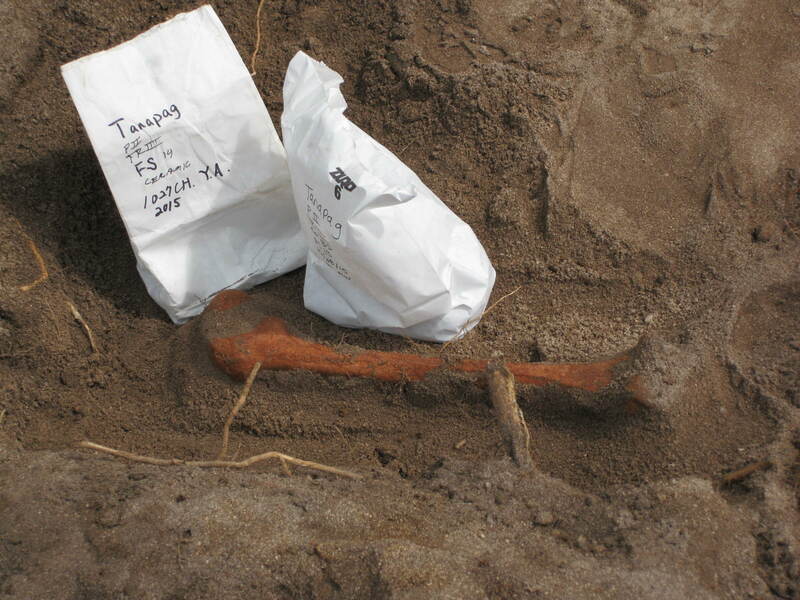 In total, we found 2 helmets, 2 leg bones, 2 unconfirmed human bones, that were individually buried in one property. This place is supposed to be on the perimeter of night position of 27th infantry division, 105th regiments on July 6th (right before the Japanese banzai attack was charged), only 25m away from the burial of one American soldier discovered 2 years ago. There wasn’t any Japanese artifacts but only items associated with American. We are not osteologists so cannot make any decision on the nationality yet. 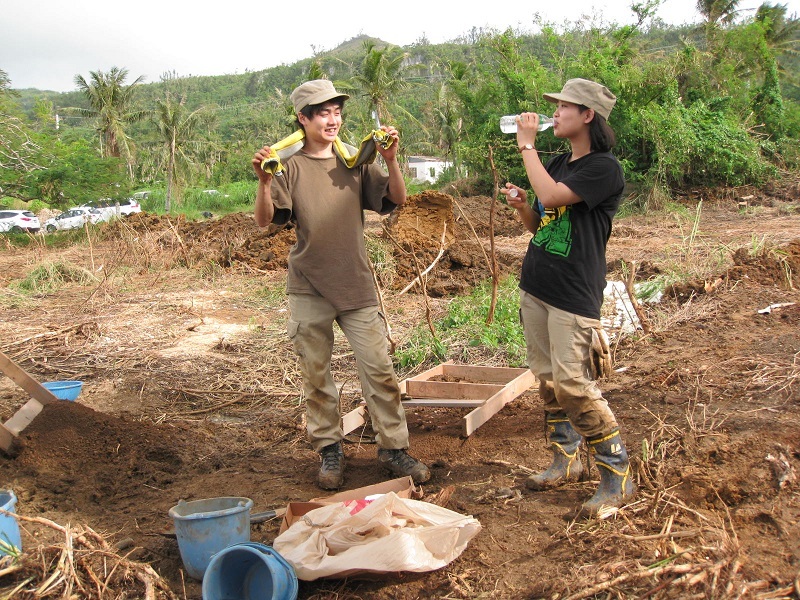 The archaeologists we hired came from mainland of US, so it takes more than 20 hours for them to fly from their hometown to such a remote island, but they had to leave the bones of probable US soldiers on the island. I imagine it is very difficult for them as American to choose this way. 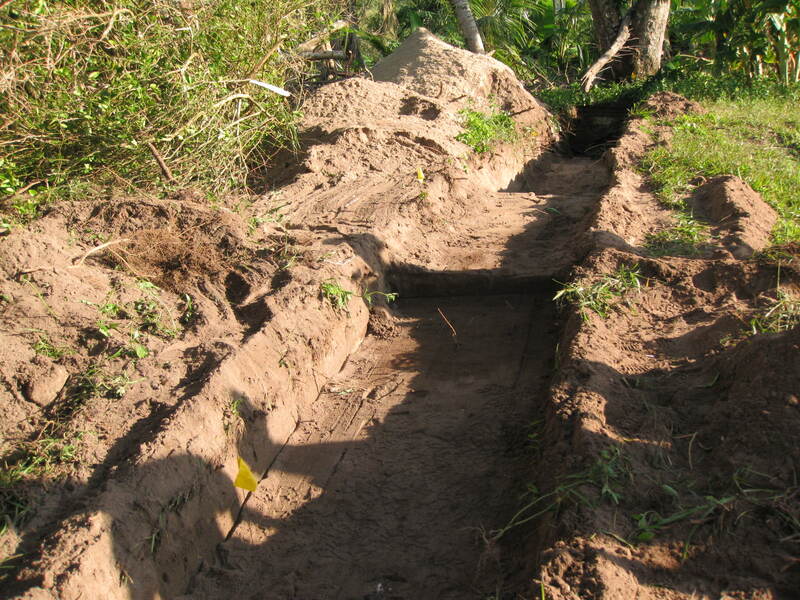 If we had enough funds to hold them 1 ~ 2 more days on Saipan, we could have exposed the site, recovered the bones, and sent them over to the US governments for further analysis. 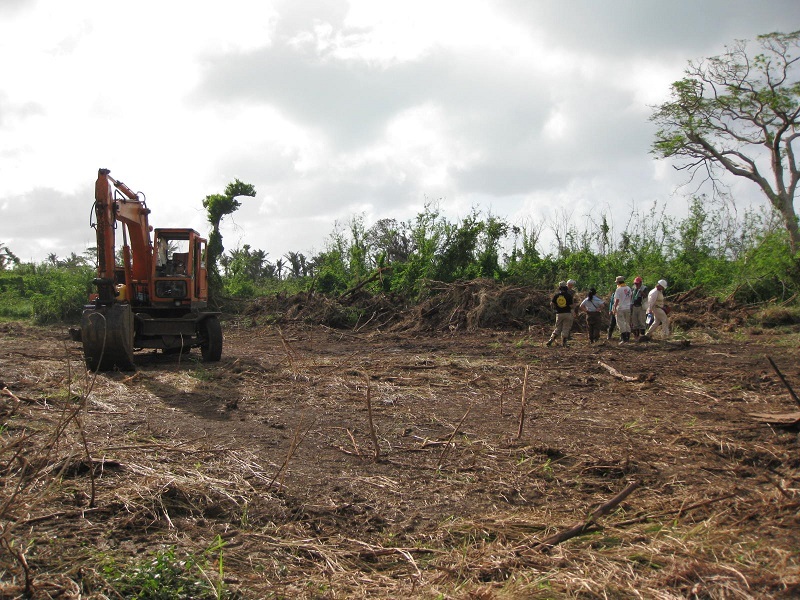 We have to do fundrasing and come back to the site as soon as possible to recover the remains. The project will be continued!